Jan was once again up early whilst I played possum and examined the inside of my eyelids until after 8.00am. She eventually woke me with a hot cuppa and biscuit by placing her cold hands on my toasty warm torso! It had rained during the night and Jan said we couldn’t pick the blackberries while they were wet so I picked some of the sloes growing beside our mooring. 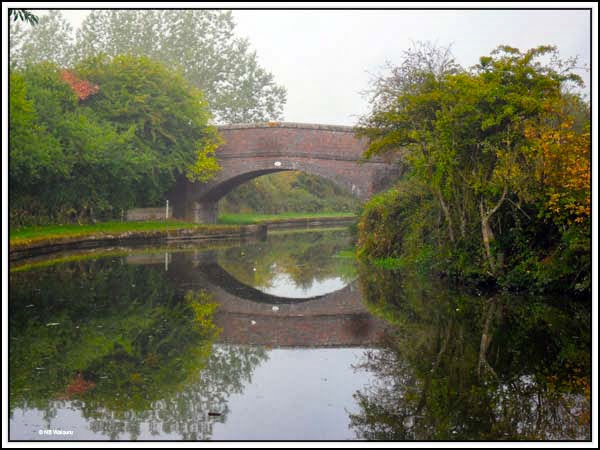 We left the mooring around 9.00am but not before Jan was able to take a photo of the misty bridge hole. 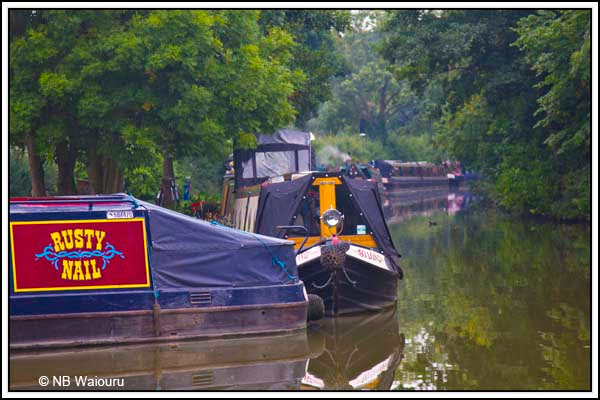 Just around the bend were two sunken and dilapidated wooden narrowboats. We couldn’t see anything that might indicate they are a restoration project in waiting. 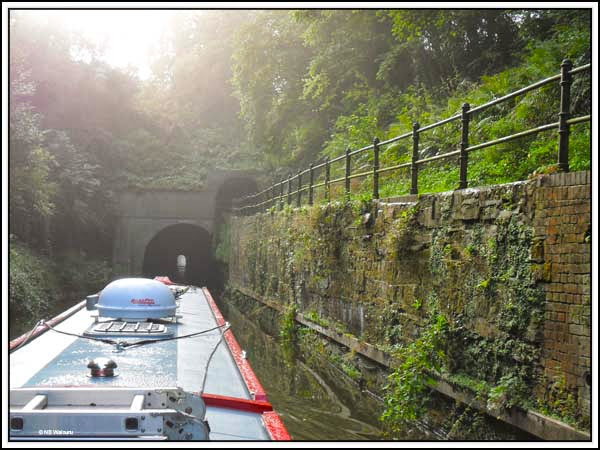 It didn’t take long to reach Shrewley Tunnel. I must have been focussed on the entrance because it wasn’t until I looked at the photo this evening that I realised there was a separate towpath tunnel on the right. 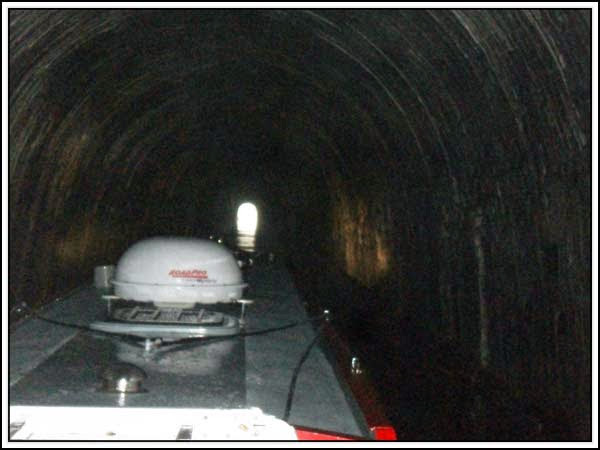 At 430 yards it’s not the longest tunnel we have been though but it was the wettest to date! Probably due to the recent rain. The top of the Hatton Flight was reached around 10.00am. 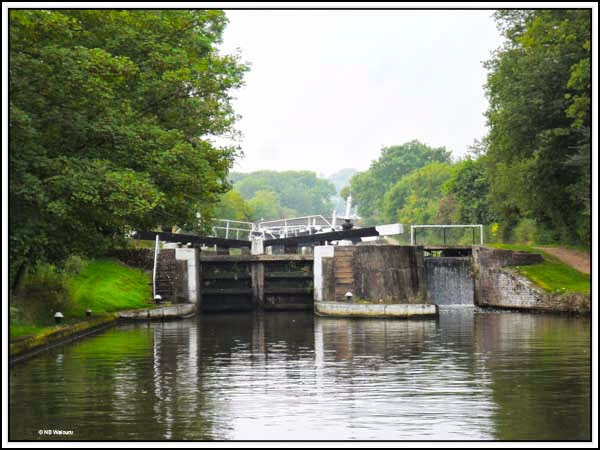 We waited 40 minutes to see if another boat appeared to share the double locks and filled the water tank during that period. 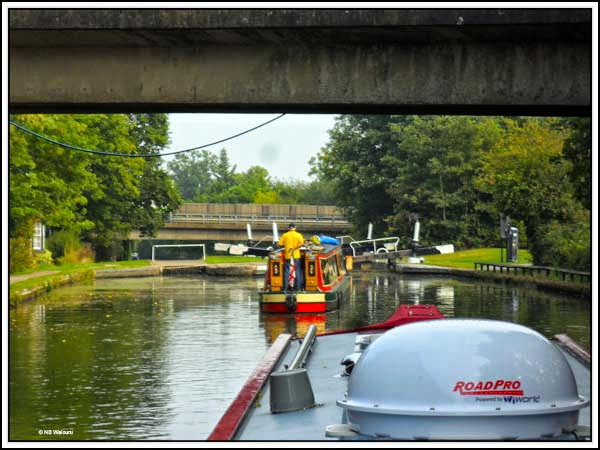 It looked as If we would have to do the 21 locks as far as the Saltisford Arm on our own. It was going to be a hard day because all the locks were against us! The flight is also known as the “Stairway to Heaven” and as were were going down we must be getting back to normal. 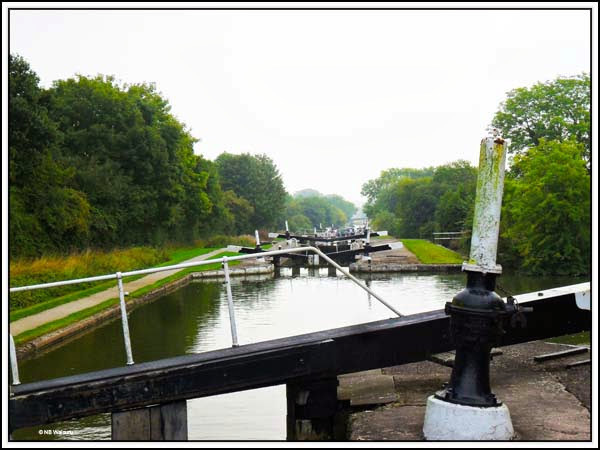 We had just entered the third lock down and I had gone to setup the 4th lock when a lady appeared from the top lock asking Jan if we would wait for them and share the locks. Both of us readily agreed and I reset the 2nd lock to make it quicker for them to join us. 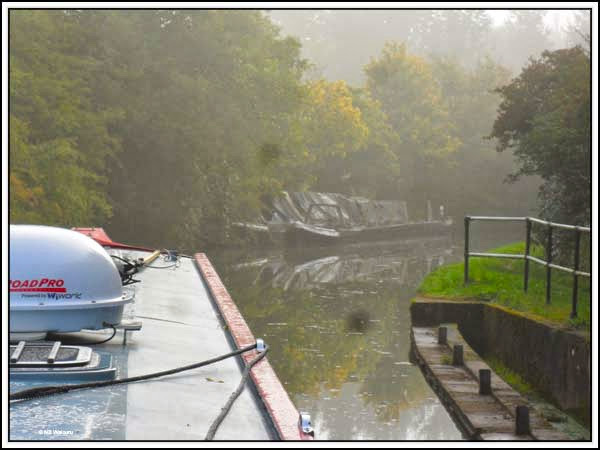 Even better; a boat coming up the flight appeared in the 6th lock. We would now have a locking partner and the locks would be set for us! 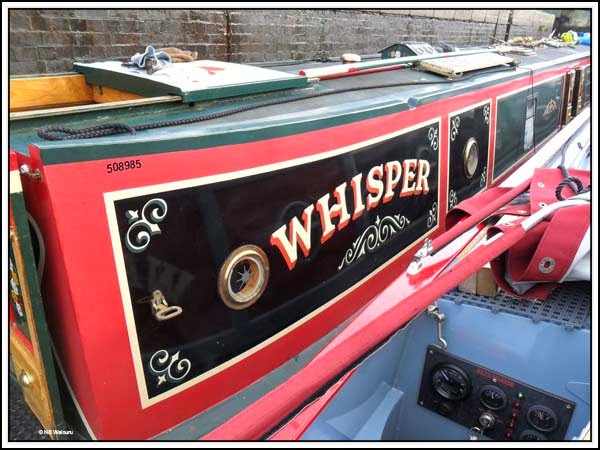 Our locking partners were Bev and Andrea on nb Whisper. 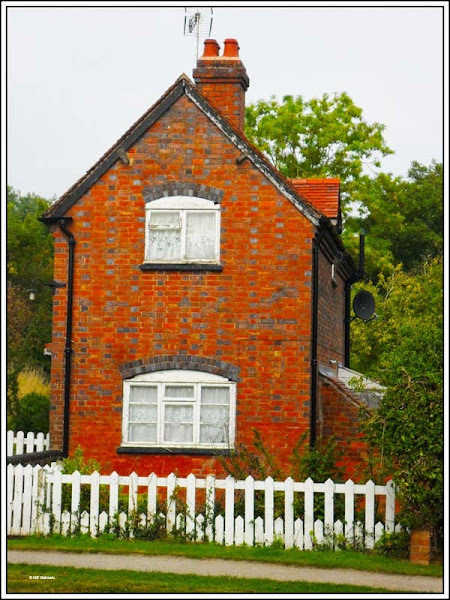 The grounds around the flight are very well maintained and obviously popular with both the locals and visitors. We had our share of “Gongoozlers” watching as we slowly made our way down the flight. I managed to find the time to take a photo in each direction at the halfway point. It was about here Jan and Andrea met “Mrs Grumpy” working their boat up the flight. She turned the lock in our face and then justified it by saying that as they had done half the flight they had priority? 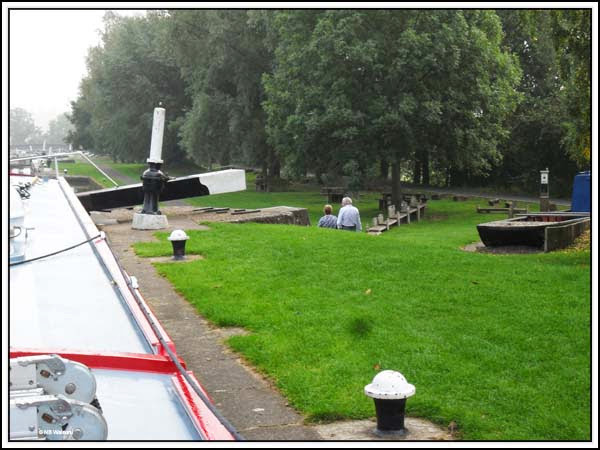 She then told Jan to raise a paddle in their lock because they only had one windlass between two boats. If I had heard them I would have offered to sell our 3rd windlass! 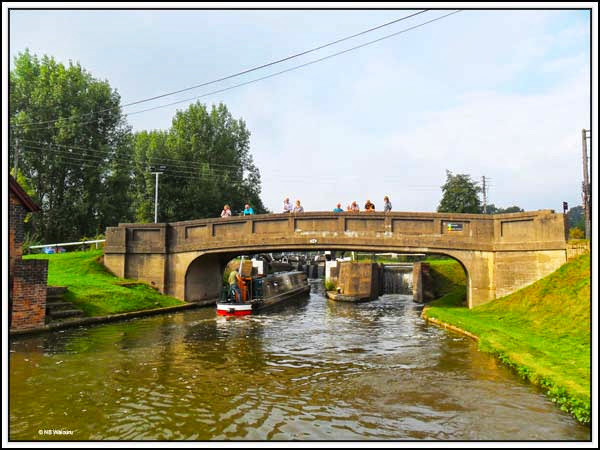 We said farewell to Bev & Andrea at Hatton Bottom Lock. They were going on to moor somewhere near Kate Boats whilst we planned to go down the Saltisford Arm and see if there was a vacant visitor mooring. We were in luck and managed to get a mooring in the Arm immediately outside the Trust office. Jan paid for shore power which is the first time we’ve been on mains power since October last year. Our overnight mooring is approximately halfway down the Arm. All the other boats appear to be on permanent moorings with some of them being residential. After our long cruise today the batteries were fully charged. However the shore power is managing to trickle charge about 1.5 amps into the bank. Jan has also put on two loads of washing and also run a drying cycle. 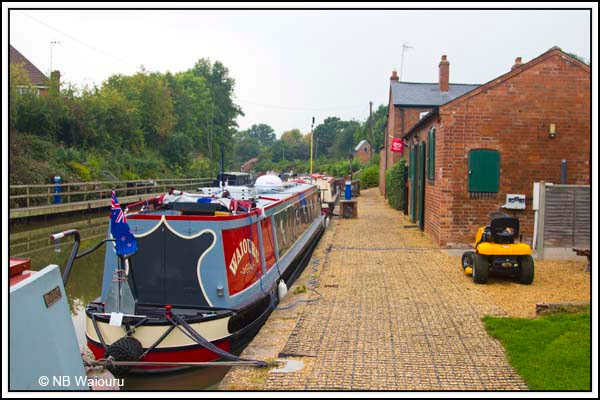 Tomorrow morning we’ll have a quick walk around Warwick before moving back onto one of the 48 hour moorings outside the Arm. 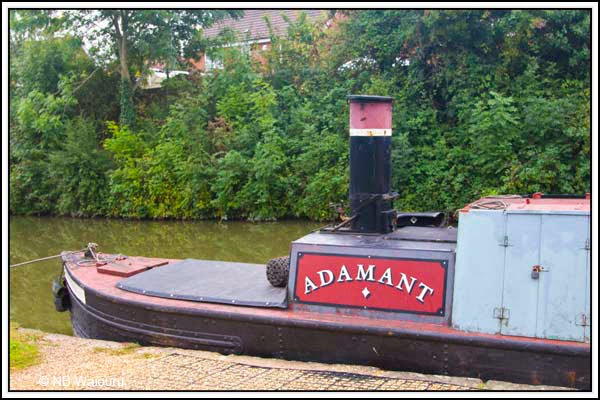 We missed you because we went into the Saltisford Arm, and now you're in Braunston. But you won't get away.... We're following you! Only hirers cruise in the rain! Now it’s the passport and a meeting.